ASUS reveals two new monitors; the Designo MX279H and MX239H. 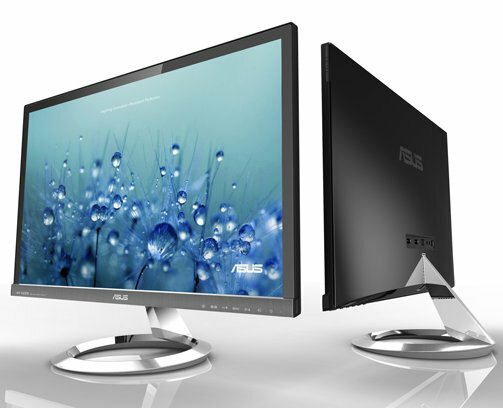 ASUS’ displays are industry leaders when it comes to vibrant colors and elegant design. With their attractive looks and edge-to-edge bezel-free screens, the new Designo 27” MX279H and 23” MX239H displays ensure customer happiness with their stylish and elegant design that exudes beauty. Both models make a stylish addition to any desktop and the ultra-slim design with integral sundial-inspired stand occupy the minimum amount of space. The matte anti-glare IPS panel with LED backlighting ensures a wide 178° viewing angle with outstanding colour reproduction, while the slim profile that’s just 14.5mm thick on the MX239H and 17.5mm on the larger MX279H. Dual HDMI inputs provide flexible connectivity options. ASUS SonicMaster technology, co-developed with Bang & Olufsen ICEpower® audio, delivers incredible audio fidelity too, which means the Designo MX279H and MX239H are displays that have redefined beauty by sounding every bit as good as they look.